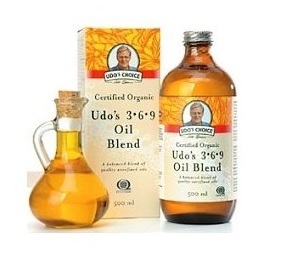 In case you don’t want to do fish oil, Udo’s Oil is a great source of plant-based omega 3s, 6s, and 9s. It’s made from a wide variety of organic, non-GMO plant-based oils such as flax, sunflower, sesame, coconut, and others. 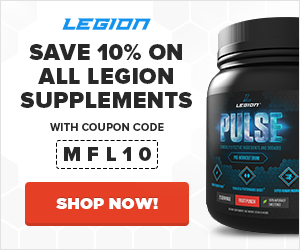 Like fish oil, it can provide you with many benefits of omega 3 supplementation, and I highly recommend it if you’re not going to do fish oil. It has a mild, nutty taste, and it goes great in a post-workout smoothie.